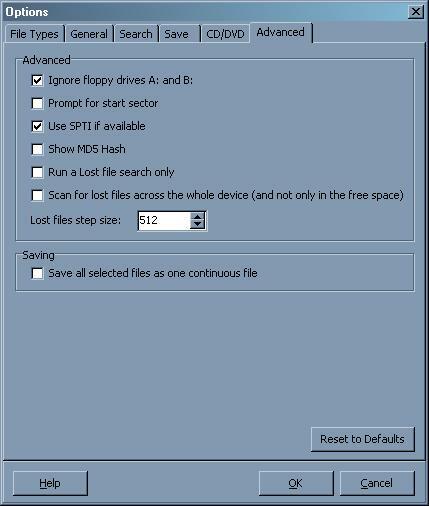 I have used many data recover programs over my 12 years in the computer repair industry. By far Recover My Files is the best program out there for all round data recovery options. You can expect to get close to 97% success rate with deleted and fromatted drives. It simply works. 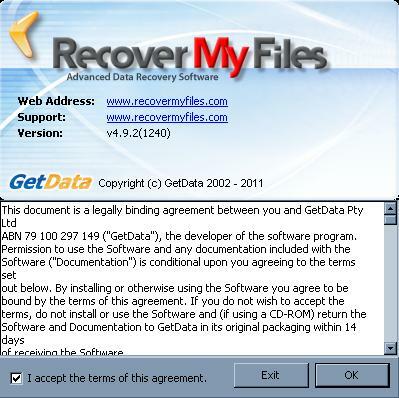 Recover My Files is an extensive data recovery tool that is designed to help you recover files from data loss, corruption, formatting, accidental deletion, and/or malware infection. The installation of Recover My Files took exactly 15 seconds, and takes up about 15MB worth of disk space. After installing Recover My Files, the user is prompted to accept the EULA. Once accepting the EULA and clicking “Next”, the user is presented with two choices: Recover Files or Recover A Drive. I decided to test the “Recover Files” option on the drive I had deleted/formatted earlier. I chose the appropriate drive, and hit “next”. Although I didn’t expect that it would find “deleted” files on a newly formatted drive, I decided to test it anyway. The result for the file scan came up emptyhanded. I tried the same method on a different drive that wasn’t formatted, and was able to recover approximately 97% of the data. Since the first option of recovery yielded no results, I went back and decided to use “Recover A Drive”. Since the automatic recovery option was recommended, I figured I would stick with that, and see what Recover My Files would find, if anything. At first glance, the outlook looked a little bleak, but having some patience with these kinds of things is usually the best option. 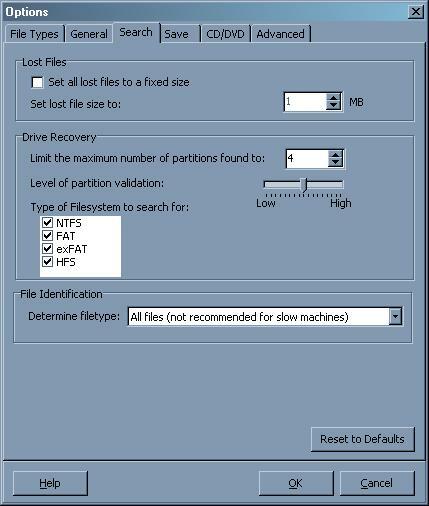 Using the most recent partition and file allocaton entries, Recover My Files began searching for any lost data, even though it hadn’t restored the most recent partition. Once the scan was complete, Recover My Files allowed me to browse and preview all of the data that it had recovered. This came in quite handy, because typically any file that didn’t have a preview available was generally corrupt. I could still view the raw data streams of any particular file just to make sure. Using the tabs, I could sort the results between folders, file types, and date. I was also able to directly search for data with phrases and keywords. To refine or broaden search results, the “Options” button at the top of the main interface was used. In the “File Types” tab, you can specify what kind of files should be searched for. The more file types that are selected, the slower the search will be. However, the slower searches also have the greater chance of recovering more files. The “General” tab simply has options on how the program should function. The “Search” tab dictates how the program should handle file searches and partition recovery. 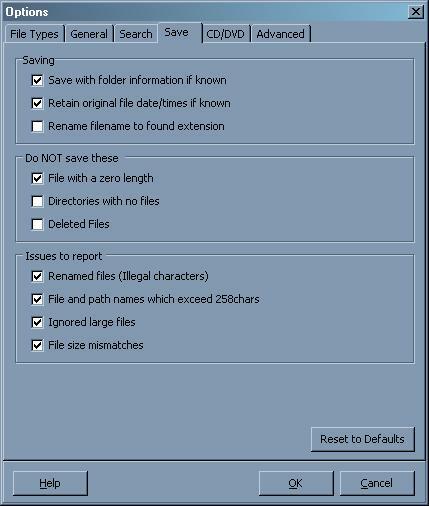 The “Save” tab has options on how to save files, what kind of files to save and/or exclude and what kind of errors to log. 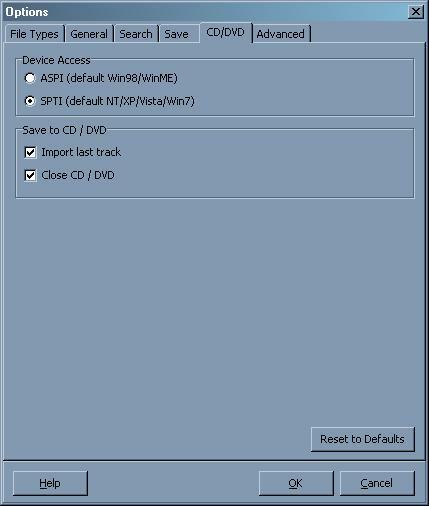 “CD/DVD” has options that involve burning recovered data to a CD or DVD. This is a nice option for many. The “Advanced” tab has additional options to control some of the minor aspects of scanning. The screenshot below is where I’ve maximized the screen to show more of the recovered files on the righthand side. From the second tab, I can filter the files by type. From the third tab, the recovered files can be filtered by the date they were modified. 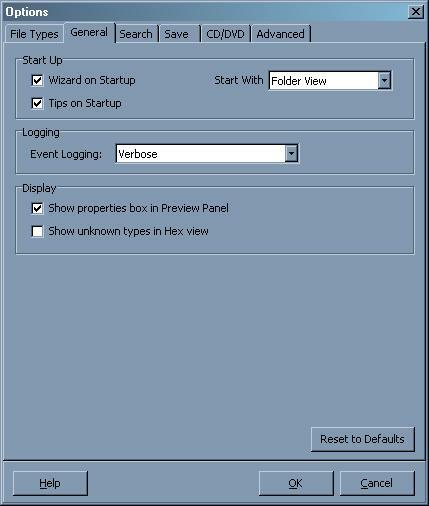 The last tab allows a direct search of files using keywords and phrases, and the event log is shown as well. 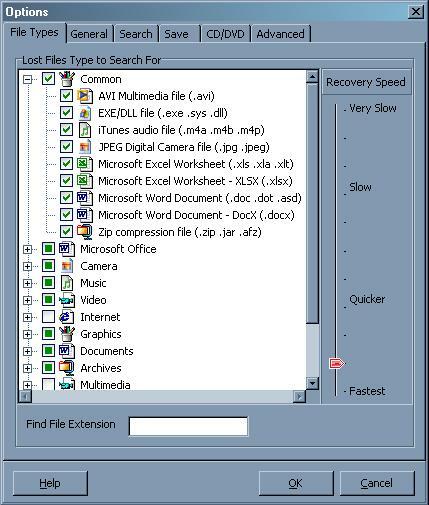 Recover My Files is incredibly easy to use, even if some parts of the interface may seem a little complex for a novice user. I would have to say that Recover My Files is probably the best data recovery utility available on the market. The total rate of file recovery averages around 95%, and the default settings are good enough that most users will be able to find and recover most of their data with ease. Works as advertised, high recovery rate, decent scantimes. In our testings we were able to recover the most data and the widest range of data with Recover My Files. We encourage all users to rate Recover my Files below. It’s on a 1 – 10 rating scale below. You may also give the product a thumbs up or down.